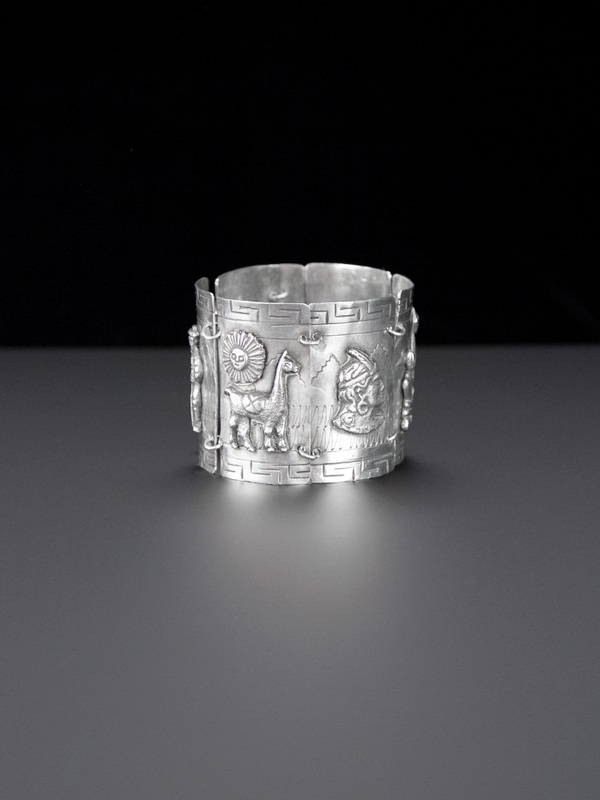 STUNNING, wide Peruvian hand crafted vintage storyteller cuff. 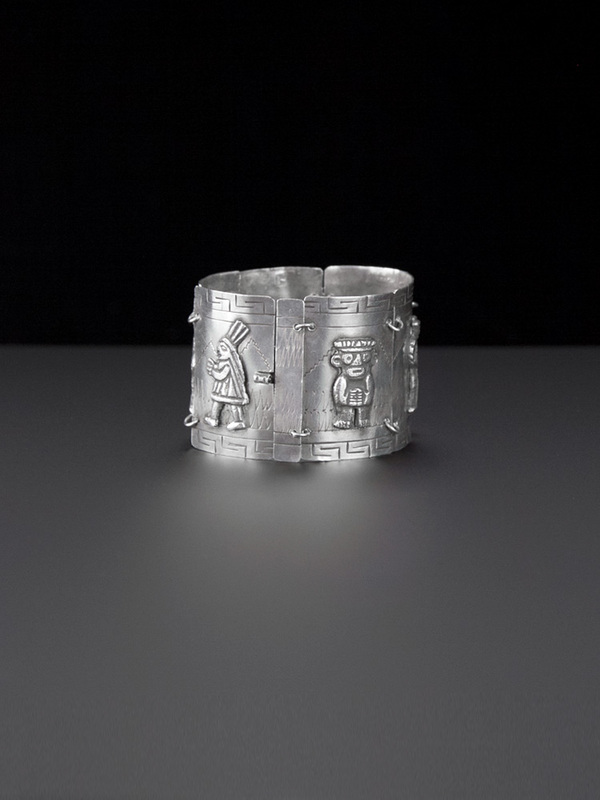 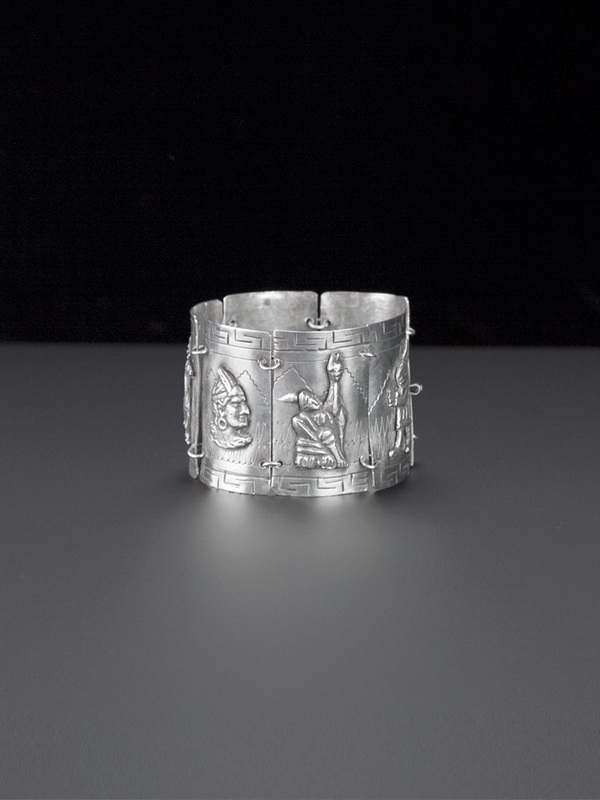 This wide cuff is a very early Peruvian piece, six linked panels carved with traditional Peruvian storyteller themes, gods, llamas and traditional costume and an Aztec style border. 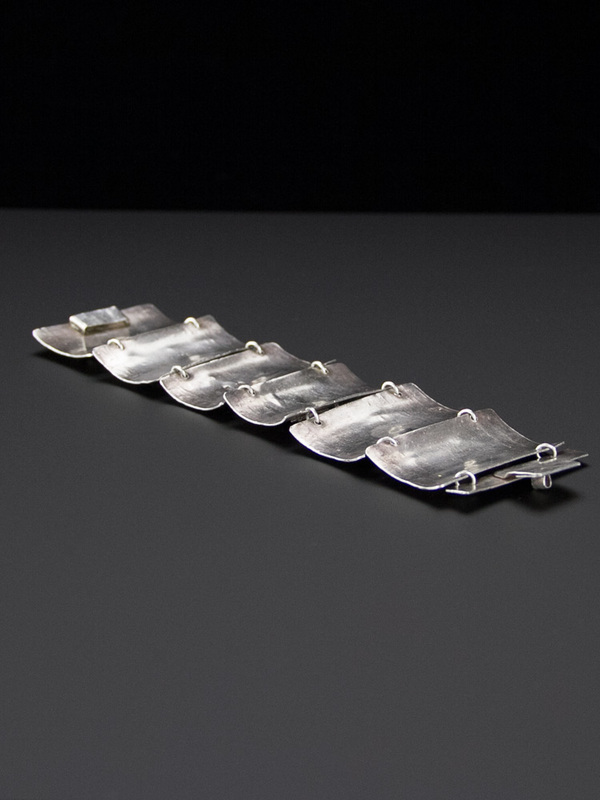 Produced near the turn of the century - each link is soldered with an early simple tab clap. 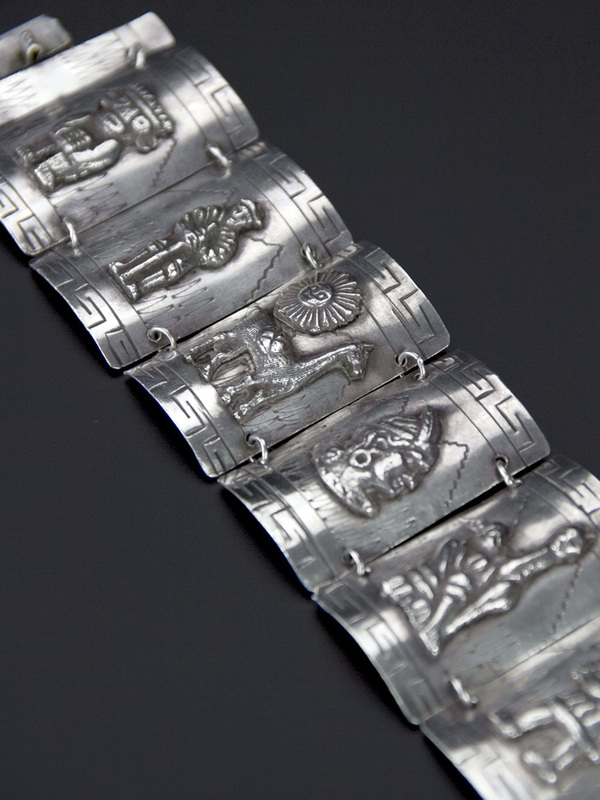 The silver is carved and raised in a three dimensional motif - this hand carved vintage bracelet is a rare and stunning, incredible one-off statement vintage piece.